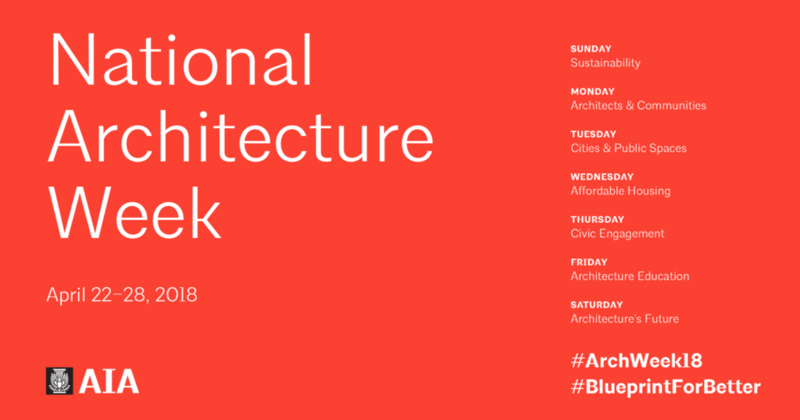 For the sixth day of National Architecture Week, our focus shifts to the future with a look at Architecture Education. Various organizations in Detroit are developing innovative new programs with goals ranging from youth architecture education, to shortening the path to licensure, to teaching kids the power of music, lyrics, and dance to describe—and advance improvements to—the built environments in which they live, play, and learn. In 2015, the National Council of Architecture Registration Boards (NCARB)—the collective organization that convenes regulators from the 54 separate jurisdictions in the US that oversee the practice of architecture—announced the first 14 colleges and universities that would pilot the “Integrated Path to Architectural Licensure” initiative, or IPAL. This small handful of pilot programs, including new M.Arch tracks at both Lawrence Technological University and the University of Detroit Mercy, are free to develop their own approaches to the new format. What they share is the central premise of facilitating the three existing components required for licensure—Education, Experience, and Examination—in parallel, rather than the more common progression through these steps in series. A typical architecture student today might spend 5-7 years receiving an accredited degree in architecture, and follow it with anywhere from 2-7 years of professional work to fulfill the experience requirements across 6 different categories, before sitting for the 6 divisions of the Architectural Registration Exam and achieving licensure. These new programs seek to provide a structure for encouraging students to pursue both their academic and professional experience in parallel, reinforcing theory with practice, and to endeavor to have all six divisions of the ARE completed by the time they complete the program. The hope is that the programs developed in these pilots will help provide a more efficient route to practice, a road that currently averages close to 14 years. If challenged to list more than six African-American architects or designers, could you do it? Of those you can name, how many of them changed the practice of architecture or shaped a community with a revolutionary approach? If Michael Ford isn’t on your list of black designers changing our industry, keep reading. Ford, co-founder of the Urban Arts Collective and self-proclaimed hip-hop architect, was born and raised in Detroit. Motown boasts architectural marvels by Daniel Burnham, Ludwig Mies van der Rohe, Marcel Breuer, and Isamu Noguchi; it has also groomed award-winning hip-hop artists including Eminem, Big Sean, and J Dilla. But if you ask Ford, Detroit’s premier hip-hop artists—or those from any American city—didn’t hone their craft by spending time around groundbreaking architecture. Their contributions to hip-hop culture, and the development of the cultural movement, were the results of deplorable physical conditions that moved its inhabitants to create a new art form in diametric response to their environment. For Ford, and many other cultural scholars, hip-hop isn’t an isolated musical genre, a fashion style, or a variety of dance. 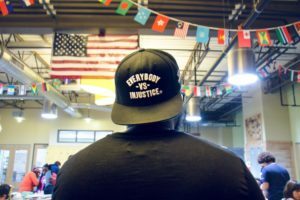 “Hip-hop is a culture curated mostly by African-American and Latino youth as a response to challenging economic, political, and physical environments,” Ford explains. His thesis pairs these physical environments with Robert Moses’ inverted application of Le Corbusier’s principles for the City of Tomorrow. Instead of glass prisms surrounded by green space for Paris, the Bronx got brick towers in-filled with concrete, divided by the Cross Bronx Expressway that siphoned residents from the island of Manhattan. Those who could afford relocation—upper- and middle-class residents—fled the borough leaving the economically disenfranchised residents in isolation. Moses’ implementation of displacement is what Ford calls “the worst remix in history.” And so it is no coincidence that the Bronx is the widely agreed-upon birthplace of hip-hop. AIA Detroit is proud to support the Hip Hop Architecture Camps, both here in Detroit and around the world, along with the several other programs available to Detroit-area youth to explore topics in the built environment. On February 2nd of this year, 50 Detroit students, ranging from 1st to 6th grade, presented their vision for their community to a host of public officials and members of the AEC industry, including representatives of the Planning & Development Department, the Mayor’s Office, the DEGC, and the Department of Neighborhoods. This presentation and reception served as the conclusion of the first iteration of AIA Detroit’s K-8 outreach program, titled Architecture Building Communities: Detroit, (ABC:D). The program was run in partnership with Cranbrook Art Museum and the Center for Success, and was supported as one of the inaugural recipients of the Architects’ Foundation / Armstrong World Industries Foundation K-8 Architecture and Design Education Grant. Over the 10 weeks of the program, Educators from Cranbrook and volunteer mentors from AIA Detroit met with students at the Center for Success, an after-school program on Detroit’s east side. Two groups of students met with their instructors and mentors each week to learn about a real City of Detroit Planning & Development Department initiative, located just blocks away from the Center. After a group site visit to the Islandview neighborhood, mentors worked with students to illuminate the planning processes behind adaptive reuse, new construction, and urban redevelopment, and empowered them to craft their own visions for how they’d like to see their community evolve. The program seeks not only to encourage youth and community engagement in the planning process, but also to promote the value of STEM education and the many career opportunities in the AEC and design industries, particularly here in Detroit. For more information on AIA Detroit’s ABC:D Program, reach out to ABCD@AIADetroit.com. Beyond our own program, other groups like the Detroit Chapter of the National Organization of Minority Architects (NOMA-Detroit) and the Construction Association of Michigan (CAM) have launched their own programs, employing different models and targeting different age groups, but all working to promote design thinking, and illuminate the career possibilities in the AEC industry. Know of another architecture education program that we should be supporting? Let us know at News@AIADetroit.com!